Bust-A-Move Super Nintendo SNES Authentic! Bust-A-Move SNES (Super Nintendo 1995) *Tested/Works* Bubble Bobble 2 Fun Game! 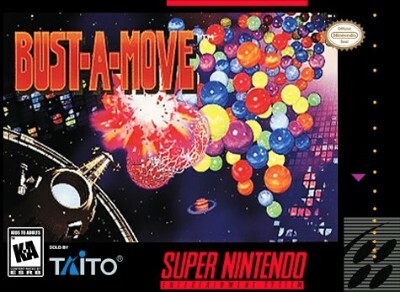 Bust-A-Move (SNES, 1995) Tested - Excellent! (CLEAN & Genuine!) Cartridge Only!